One of the foundations for great health lies in a good night’s sleep. Unfortunately, many people don’t get the sleep that they need. 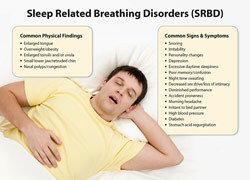 This lack of sleep can sometimes be related to sleep-related breathing disorders (SRBD). These don’t only affect the person who has them either – they can affect a person’s sleeping partner as well. As your Arlington, VA and Washington DC affordable dentist and dental team, we at Fidel Dental Group would like to tell you more about these sleeping disorders. 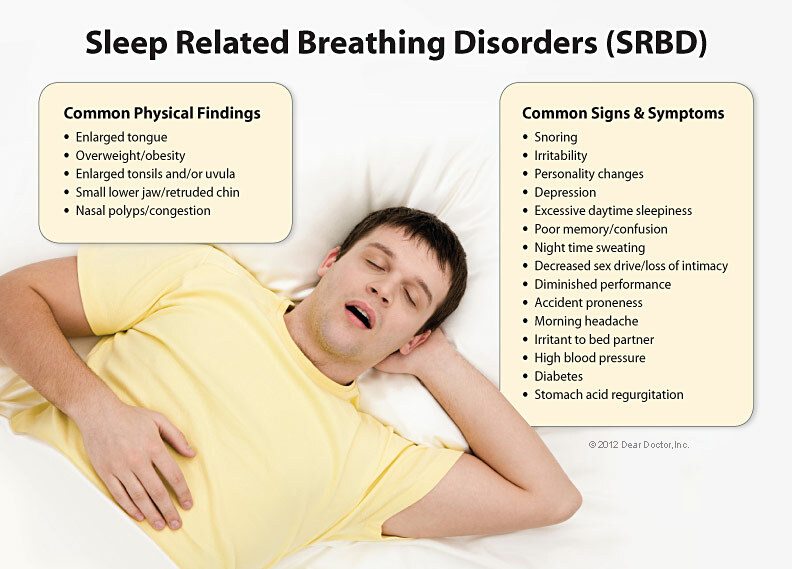 SRBD are characterized by the constant reduced or interrupted respiratory airflow. This is caused because the soft tissues near the back of the throat collapse during sleep, partially closing off the windpipe. These tissues – including the tongue – can vibrate as air passes by, causing snoring. Snoring is often worse when sleeping on one’s back because this allows the lower jaw to slip back, which pushes the tongue in front of the airway. While a loud snorer may appear to be resting peacefully, this might not actually be the case. Chronic loud snoring is a common symptom of obstructive sleep apnea, which occurs when the upper airway is blocked enough to cause either significant airflow disruption or allow no airflow for about ten seconds or more. This is very dangerous because reduced airflow into the lungs will lower blood-oxygen levels. A person with sleep apnea may even wake up 50 or more times in an hour – nearly once every minute – without having any memory of it at all. These awakenings (known as micro-arousals) last long enough to restore muscle tone to the airway so that the individual can breathe again. Unfortunately, these micro-arousals will also prevent a rejuvenating sleep. 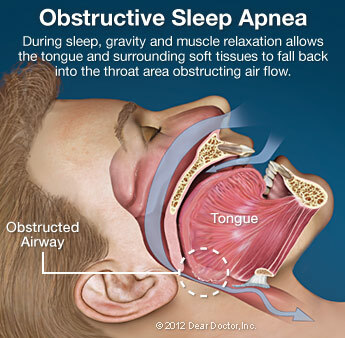 You may be wondering why your Washington DC and Arlington, VA dentist is talking about sleep apnea. Well, it’s simple actually – we offer oral appliances that are designed to help treat sleep apnea! These appliances can hold the lower jaw forward during sleep and by repositioning the jaw, it’ll move the tongue away from the back of the throat and reduce the possibility for obstruction. 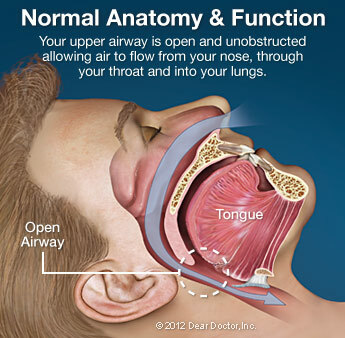 It’s an effective, yet simple, remedy to attempt before trying any more complicated breathing devices or even surgery. Only a dentist will be able to fabricate, adjust, and treat complications that are associated with oral appliance therapy in managing sleep apnea. 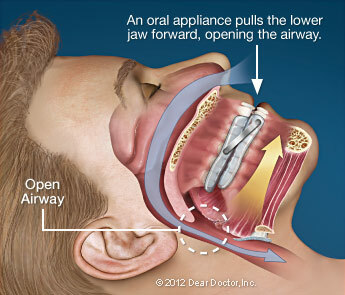 If you or a loved one is experiencing any signs or symptoms of sleep apnea, please don’t hesitate to come visit your Arlington, VA and Washington DC affordable dentist to talk about oral appliance therapy. Come Visit Your Washington DC and Arlington, VA Affordable Dentist! If you’re interested in our oral appliances or any of our dental services, please feel free to schedule an appointment with us by filling out our online appointment request form or by giving us a call at one of our two convenient locations. Our Arlington, VA office phone number is (703) 575-9899 and our Washington DC office phone number is (202) 362-7413. We pride ourselves on being an affordable dentist option, so we offer an in-house discount plan to help make sure that our dental care and treatments are accessible for you. We hope you come visit us sometime!